Description: It has HOW many gigabytes? Geesh, no wonder it's chaotic. 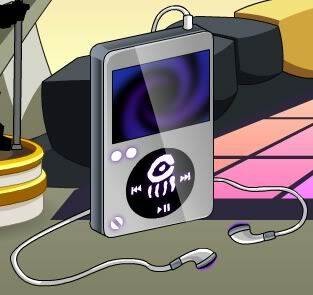 One-Eyed Doll can store all their music and plastic dinosaur time traveling applications on this thing, and with room to spare. Note: Also see Eyedpod Player. Thanks to Vampiric, JT452, Dragoon46, Erokia and AQW Sound.